Bea graduated with a distinction in her Masters in Osteopathy from the British School of Osteopathy. She is registered with the General Osteopathic Council, the British Osteopathic Association and is an Associate Member of the Institute of Ergonomics and Human Factors. 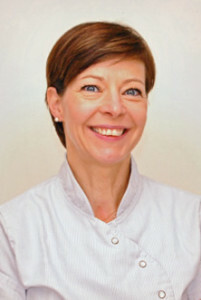 She is also a qualified Sports Injuries and Massage Therapist and uses Western Acupuncture to complement her treatments. Bea is also a qualified Cranial Osteopath and has done her training with the Rollin Becker Institute and is particularly interested in applying these skills in the treatment of the newborn and babies. After graduating from the BSO, she completed the Foundation course in Classical Osteopathy and believes strongly in a whole body approach to treatment. She is a registered member of the Institute of Classical Osteopathy and has recently starting teaching at the London Clinic of Classical Osteopathy. She feels privileged to have a career in osteopathy as she finds it very rewarding to help people recover to full health.